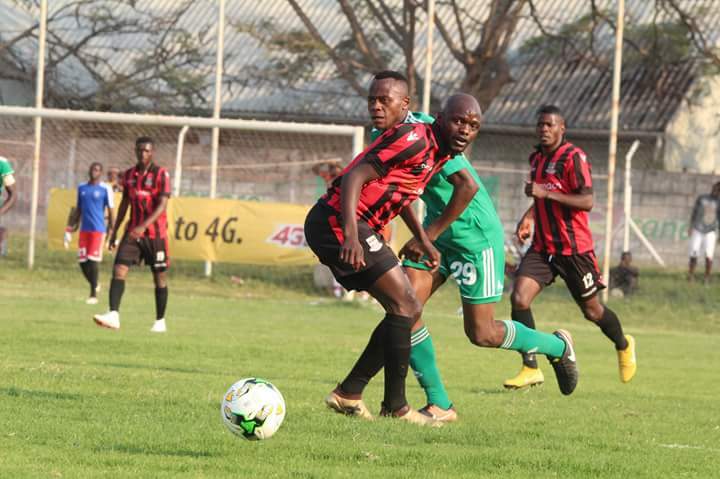 Green Buffaloes coach Bilton Musonda blamed his strikers failure to convert their chances for the teams barren draw against Sensational Zanaco at Sunset Stadium on Saturday, September 15th. Musonda felt his strikers had chances they could have buried but failed to utilise them as it has been most of the season for the soldiers. ” We played well in all departments. It’s just that we did not score, We missed clear chances. It goes back to the same story of my strikers failing to score even when they have an opportunity,” he said. The former Mighty Mufulira Wanderers player also admitted feeling pressure following the teams failure to close in onnlog leaders Zesco United when they had the chance. Musonda is however staying positive as he believes any other team can go through a bad patch like they are in the coming five games hence they just need to concentrate on their games. ” Yes, failing to close the gap on Zesco United is putting us under pressure because the gap was narrow but it’s now widening. We have five games to play, We have gone four games to without a victory even other teams can do that so we just have to work on our own games as they come. We don’t look at Zesco, Nkana or Green Eagles we just look on our own games because no one can win games for us, ” he said. The Army sponsored out-fit dropped to third on the log following Nkana’s three nil win over Nakambala which propelled the Wusakile side to second place with a better goal difference as the two are tied on points. Buffaloes have now gone four games without a victory picking up just three points from a possible twelve. Should Zesco manage to beat Kitwe United later today something that’s most likely to happen they will open an eight point lead at the summit. Youremember Banda has the height, pace and shoe size, but needs to start using his brains. Ba GBFC naimwe you need to beef up on creativity and fire power. With the current squared you cant make any impact at continental level.